Floor-to-ceiling windows add abundant light to the sleek, spacious operatories that feature Pelton & Crane chairs and delivery systems. 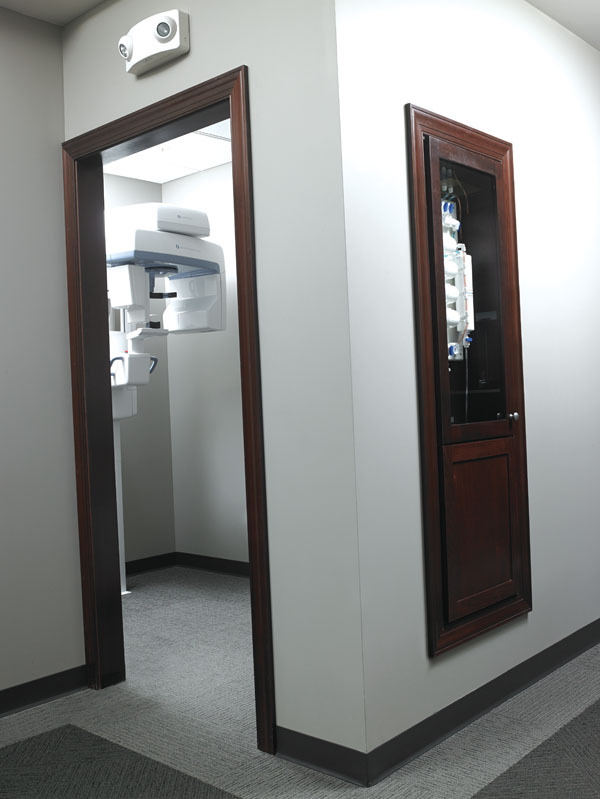 Dr. Gary Goebel, of Goebel Family Dentistry in Moline, Ill., wanted a new office to accommodate advanced equipment, but more importantly, to introduce a new doctor to his practice–his son, Tom. 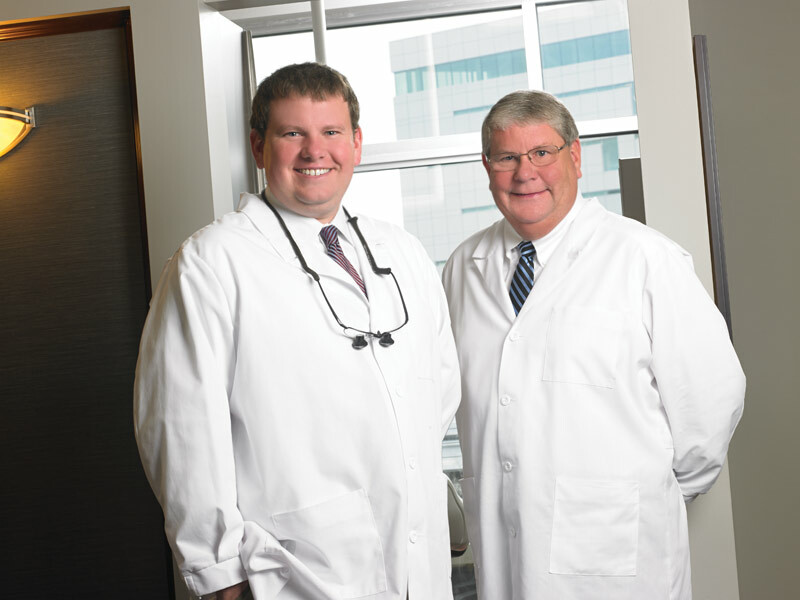 Upon graduation from dental school, both father and son decided to open a true “family” practice and incorporate cutting-edge technology into a centrally located practice. 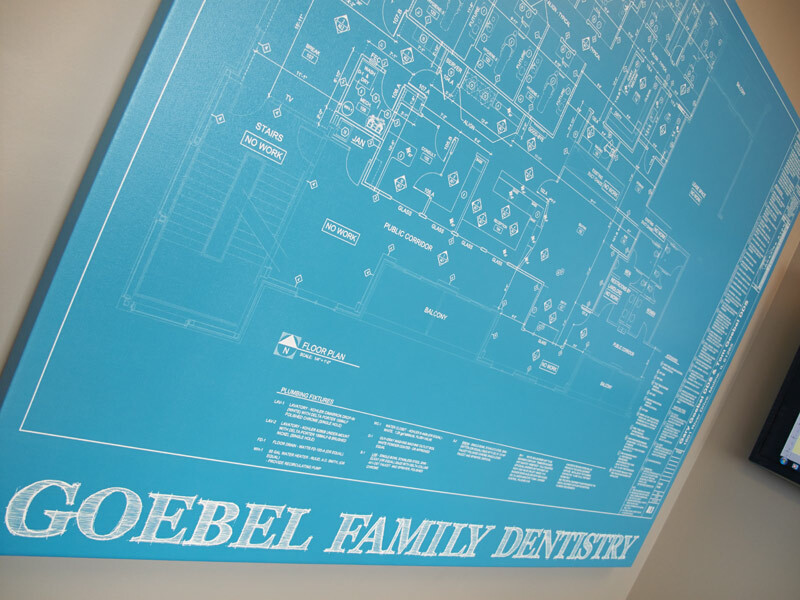 The new collaboration allowed the elder Goebel to continue his 30-year career in dentistry in an even more effective way while also building a strong foundation for his son’s dentistry practice now and far into the future. 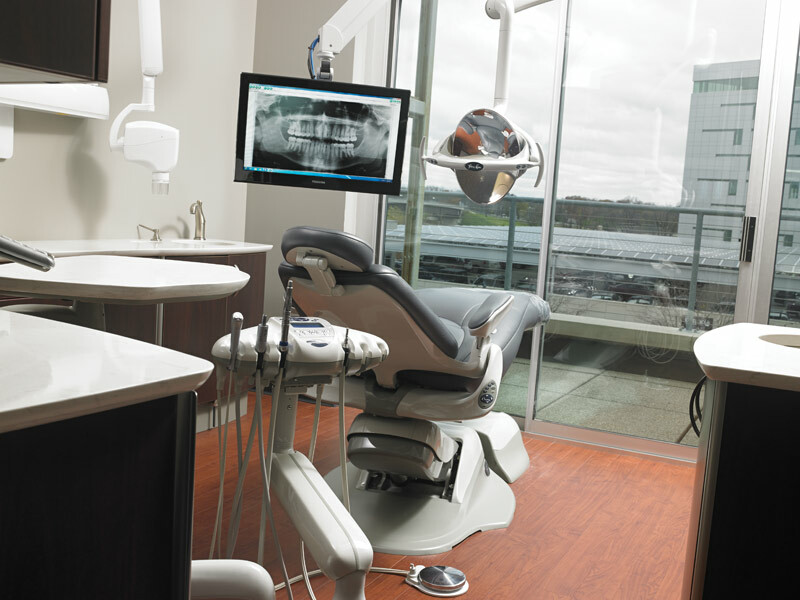 With valuable input from Henry Schein’s National Design Group and Equipment & Technology Specialists, they chose a high-traffic location in the downtown’s up-and-coming area. They decided to renovate the third floor of an existing building with beautiful views of the Mississippi River. Starting with a “blank canvas” gave them the opportunity to plan exactly how they wanted the practice to look and function. In a creative twist, a blueprint from the build-out has been repurposed into colorful wall art. The doctors reached out to Henry Schein Field Sales Consultant Eric Alpern, Equipment & Technology Specialist Gavin Schramm, and Regional Manager Nathan Johnston to plan the 3,600-square-foot practice. Dr. Tom Goebel had a specific vision of what would work best for him and his father. “After some sound advice from my sister Katie Goebel, I decided to go with a classic finish: dark mahogany wood, gray walls, and white marble counter tops,” says Dr. Tom Goebel. “Henry Schein listened to our needs and gave advice as needed, but didn’t push.” Although he received advice and feedback from others who tried to sway him toward changes to the plan, he stuck with his ideas. 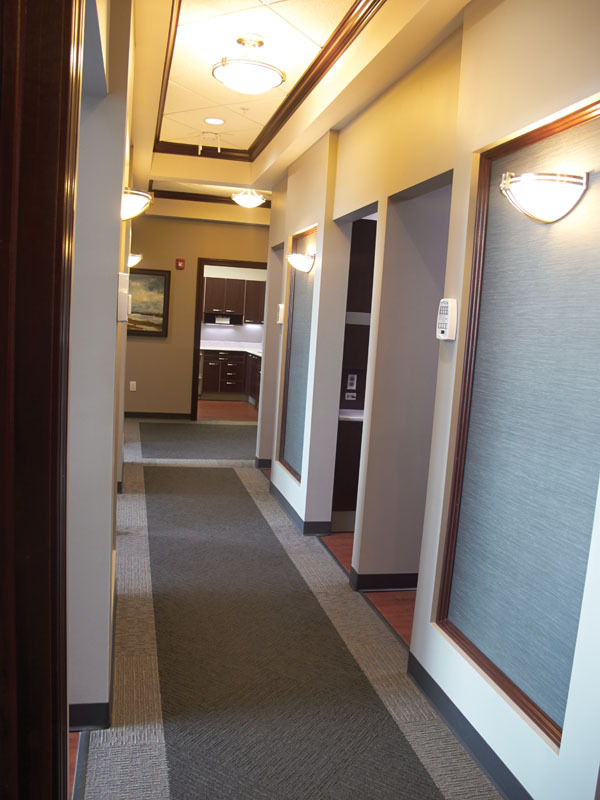 Light and dark gray in the carpeting match the wall colors and lead patients through the office, designed to flow smoothly from the front desk through to the treatment rooms. Both he and his father are extremely pleased with the results. The office architecture and décor complement one another, bringing a serene and restful atmosphere to the office. The waiting area is large and features a special corner for kids. Behind the check-in desk, a dedicated consultation room gives the doctors a place to discuss treatment options with patients in a confidential setting. Throughout the practice, the generous use of dark wood contrasts against the muted gray color palette. Bright sunlight floods in through walls of windows that run floor to ceiling in the operatories. Our patients are constantly raving about our facility and how comfortable it makes them feel, said Dr. Tom Goebel. The office opened with six operatories, and two others were designed but reserved for future growth. It became evident right away that they needed all eight treatment rooms to meet their growing patient load, so they equipped the other two much sooner than they expected! Decisions on the treatment areas were made after a VIP tour of Pelton & Crane’s manufacturing plant. Both father and son longed for an upscale look that mirrored the rest of the office, and they found that in luxurious Spirit 3000 massage dental chairs, wood cabinetry, and Helios lights, all of which coordinated together to reinforce their vision. 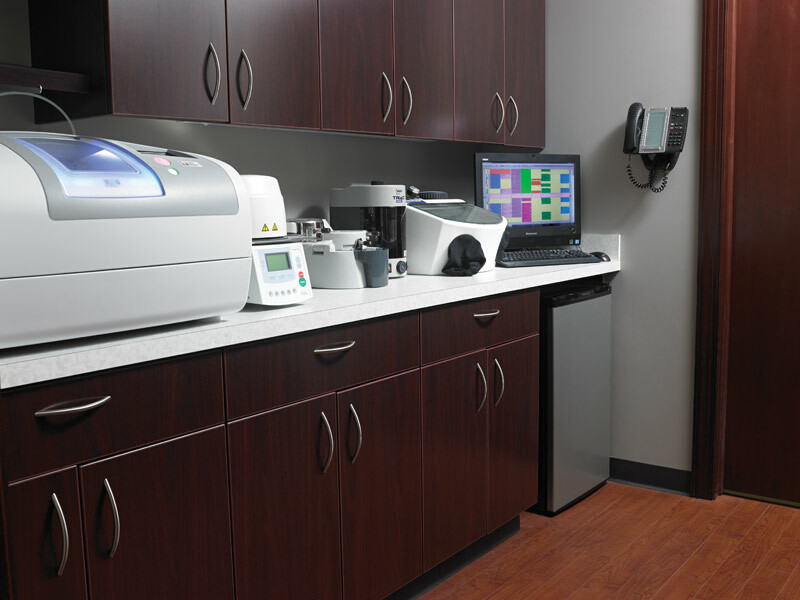 The Planmeca PlanMill in the office’s on-site digital lab enables same-day restorations for the convenience of patients. The operatories have a streamlined, sleek feel, but the darker flooring warms up the room. The walk-through, galley-style sterilization center down the hall is L-shaped, and the onsite lab next to it opens to a generous storage room. As patients walk down the hallway, the gray carpeting ties into the wall hues, decorative wall niches, and custom artwork. But beauty is not only defined by paint colors or artwork alone. 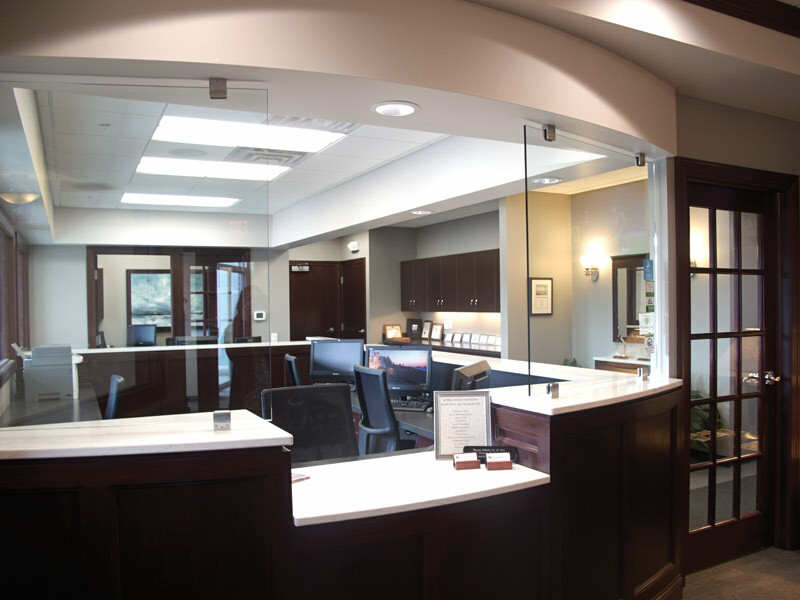 It extends, in an unconventional way, to the advanced dental equipment and technology that stands in the office, allowing the doctors to give patients the most healthy and beautiful smiles possible in a caring setting. 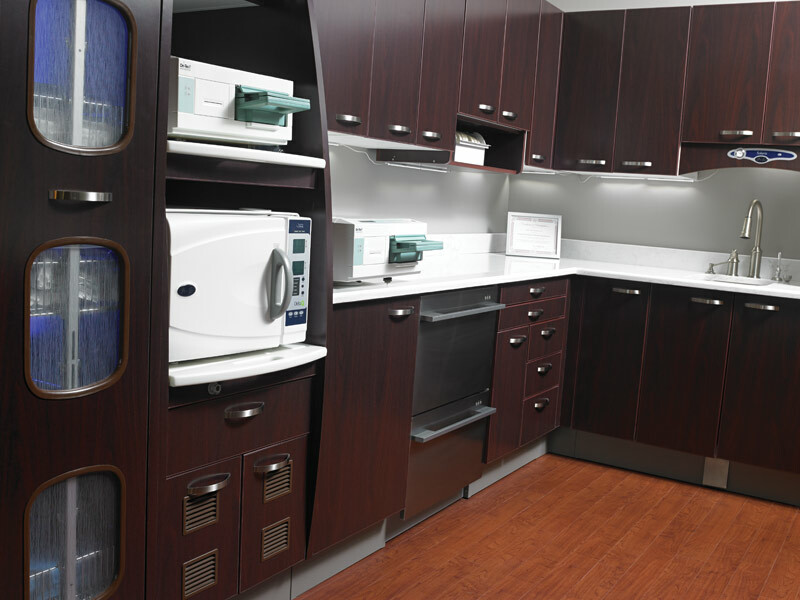 The sterilization room is the epitome of efficiency because of its central location and galley-style, walk-through configuration. The check-out area is on the way out of the treatment area, separated from check-in. Not only does that prevent bottlenecks, but in this day of privacy concerns, it’s especially appreciated by patients. The most visible example is their purchase of the Planmeca PlanScan CAD/CAM System, giving them the ability to expand their services to include same-day crowns and eliminating the need for uncomfortable temporaries and return visits. In addition, they have incorporated a hybrid of SOREDEX DIGORA Optime PSP plates and DEXIS sensors, facilitated by Henry Schein Equipment & Technology Specialist Jason Helken, which provides greater patient comfort and superior imaging results that can be shown to patients chairside on the in-room monitor. Investments like the Instrumentarium OP300 and the VistaPure water filtration system demonstrate the doctors’ commitment to providing superior care using the best technology available. All of the imaging upgrades integrate seamlessly with their Dentrix practice management software, greatly enhancing communication, efficiency, and convenience. The doctors also gave careful thought to their employees’ needs, creating a spacious lounge with a nearby washer and dryer and a separate business office. Father and son share a large private office, complete with two desks.